The Jetsetter offers a soothing interlude. 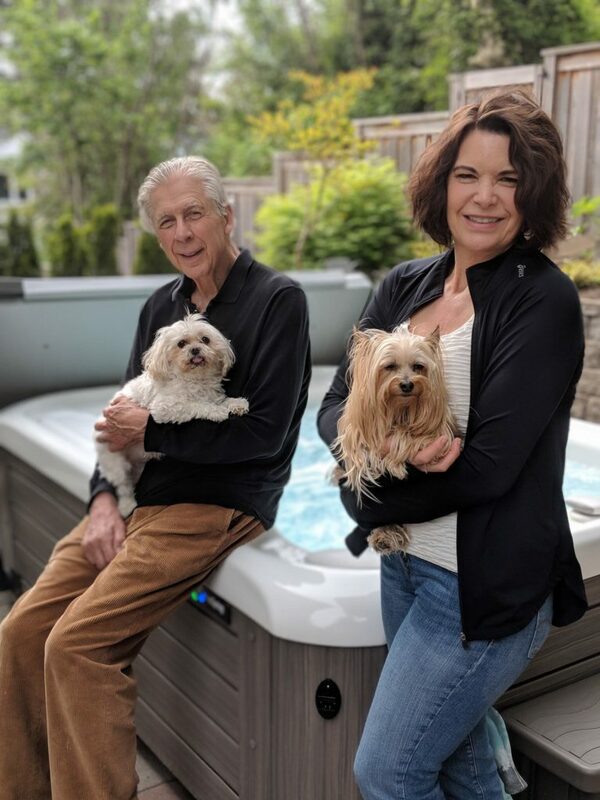 Norm and Joan of Oregon City can´t wait to soak for the first time in their brand new Jetsetter! 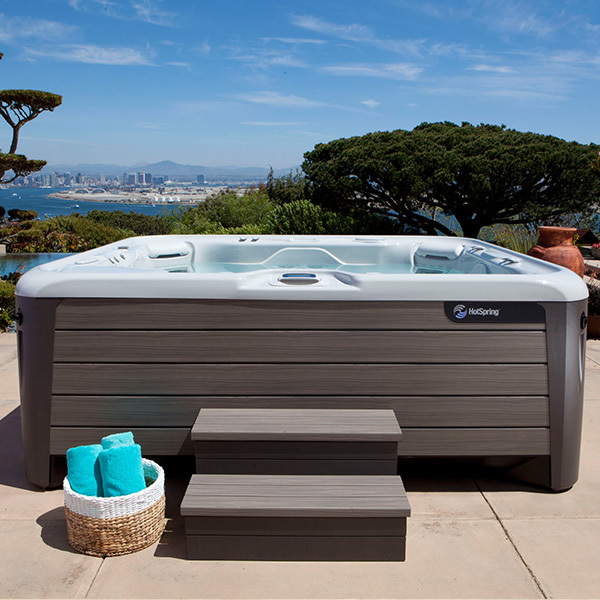 Offering advanced hydromassage with the patented Moto-Massage DX® and a JetStream® , the Jetsetter comfortably seats up to 3 people. 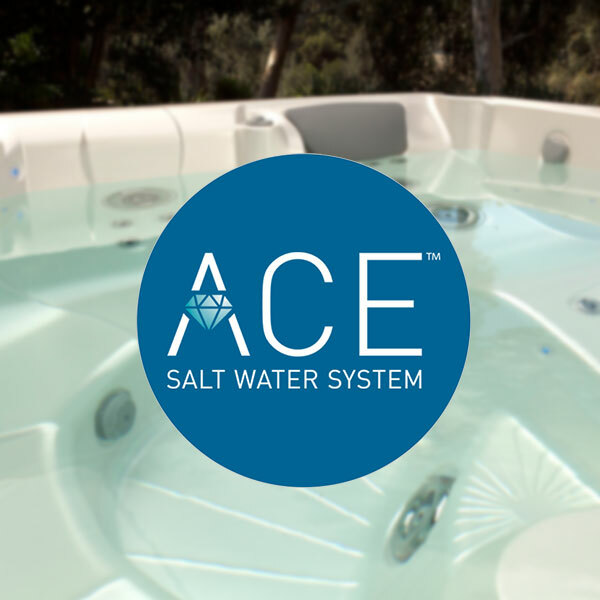 This smaller model still features an insulating hinge seal and the Highlife Collection’s distinct style and simple water care options, a model that is perfect for your space and lifestyle. The jet system offers an incredible 14 jets that relieve-tension in targeted areas including your back, neck, shoulders and calves. 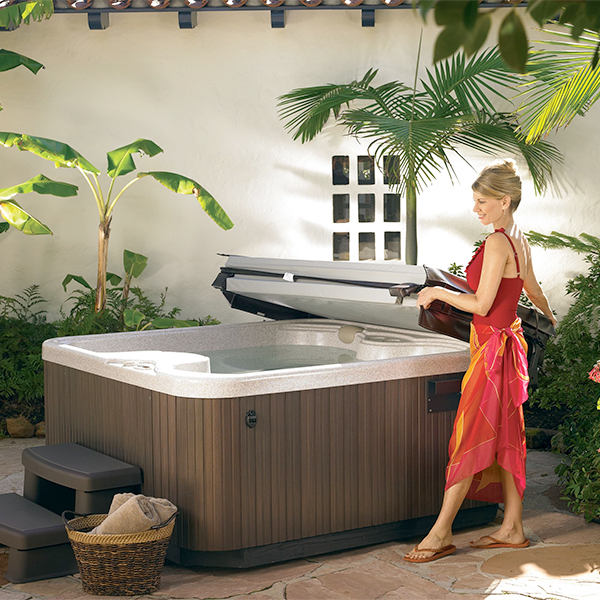 Designed to provide the ultimate ease, enjoyment, endurance and efficiency.